Finding the perfect gift for everyone can be tough — whether you’re looking to fill stockings on a budget or find the next camera for the photography nut in your family, TPG’s got you covered. But how about something for the ultimate road warrior on your list? Here’s a look at some of our favorite gifts for business travelers who are always on the go. 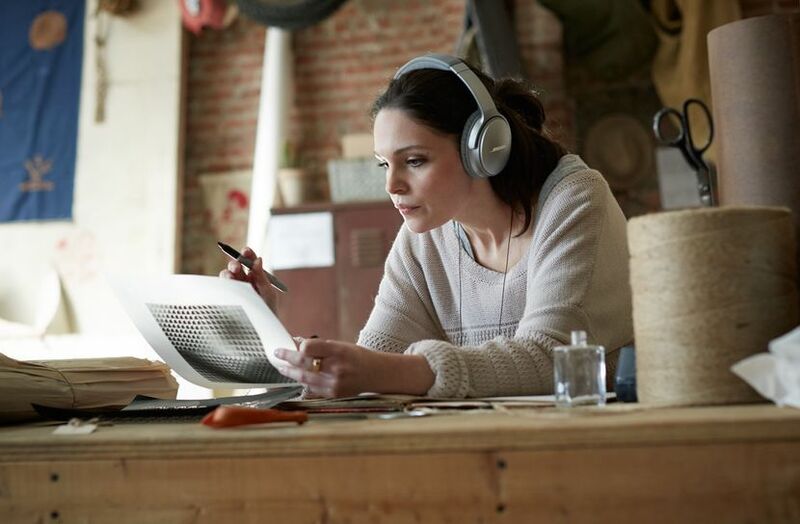 For those times when you want to block out noise while you’re enjoying your favorite music, enter Bose’s QC35 headphones, regarded by most travelers as being the best over-ear noise-canceling headphones on the market — so good that Bose even has a patent on its noise-cancellation technology. Best of all, they’re wireless and the battery lasts up to 20 hours, so there’s no need to worry about charging them mid-flight. Available on Amazon, from $349. Apple includes a lightning cable in the box whenever you buy an iPhone, but they’re usually too short, tend to break easily and can be expensive to replace. 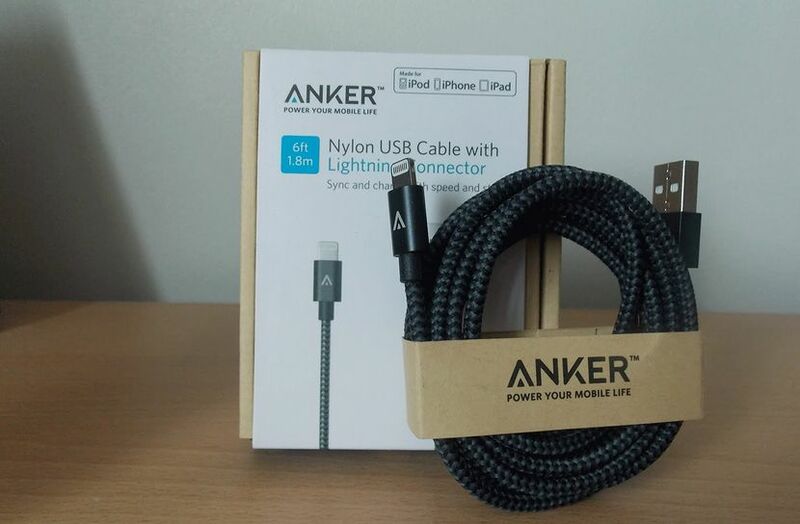 Anker’s PowerLine+, on the other hand, is a 10-foot, durable, double-braided, nylon lightning cable that’s sturdy enough not to break or rip. And since it’s a whopping 10 feet long, you won’t have to worry about how far away the hotel’s outlet is from the bed — those extra few feet will ensure your phone will be able to reach you at all times. Available on Amazon, from $16. Whether you’re watching films or playing games, tablets are always a handy device to have by your side. If you’re constantly traveling, it can be hard to justify carrying around a piece of technology worth several hundred dollars, especially since there’s always a chance of damaging it or, worse yet, losing it on the road. 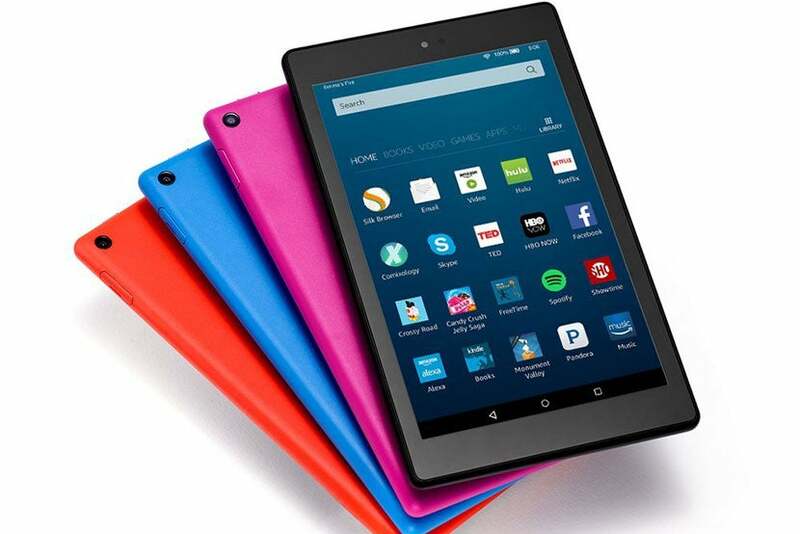 Luckily, Amazon’s Kindle Fire comes in at just $89 and with its 12-hour battery life and 8-inch display, offers nearly all the same features of any other tablet on the market. Available on Amazon, from $89. Don’t let the colorful design and lego-like appearance of this device fool you — it’s mandatory travel gear. 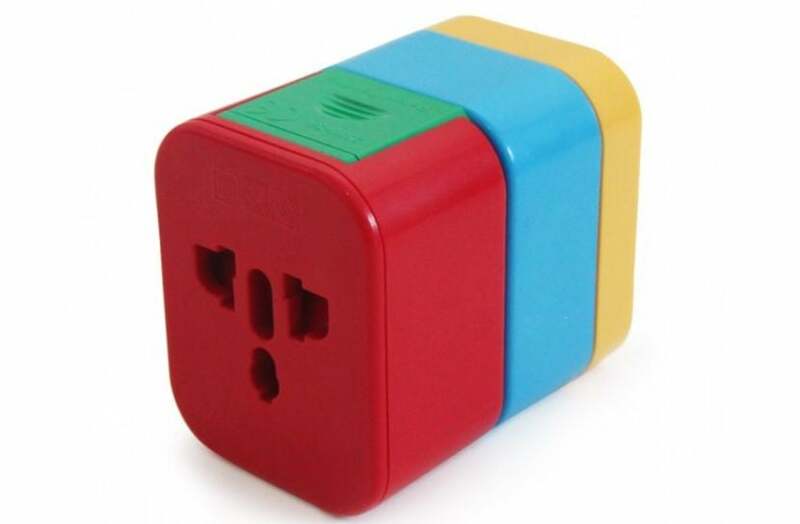 Flight 001’s compact 4-in-1 power adapter is color-coded, so figuring out which piece of the adapter you’ll need to bring with you is as simple as matching the color to a map. With support for outlets in more than 150 counties, this adapter will likely be the only one you’ll ever need. Available at Flight 001, from $25. Image courtesy of Flight 001. 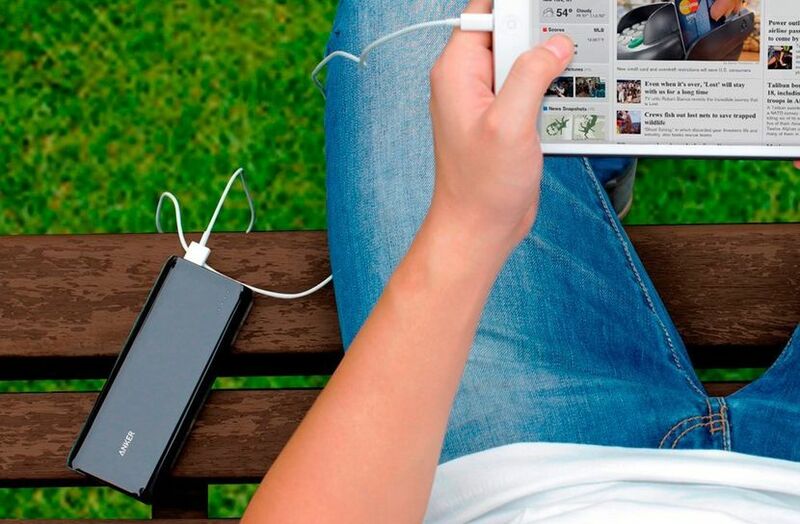 Perhaps the biggest fear of the modern traveler is having an iPhone, laptop or tablet battery run dry. To help you avoid such an unnecessary fate, Anker’s Astro E7 external battery pack holds 26,800 mAh of battery power — for the sake of comparison, an iPhone 7 offers just 1960 mAh of battery life. Better yet, the Astro E7 has three ports, meaning you can power up to three separate devices at once. The best part? It does all this while not being much larger than your average smartphone. Available on Amazon, from $49. The water bottle; the essential travel companion, but why carry one that takes up valuable space in your bag when you’re not using it? 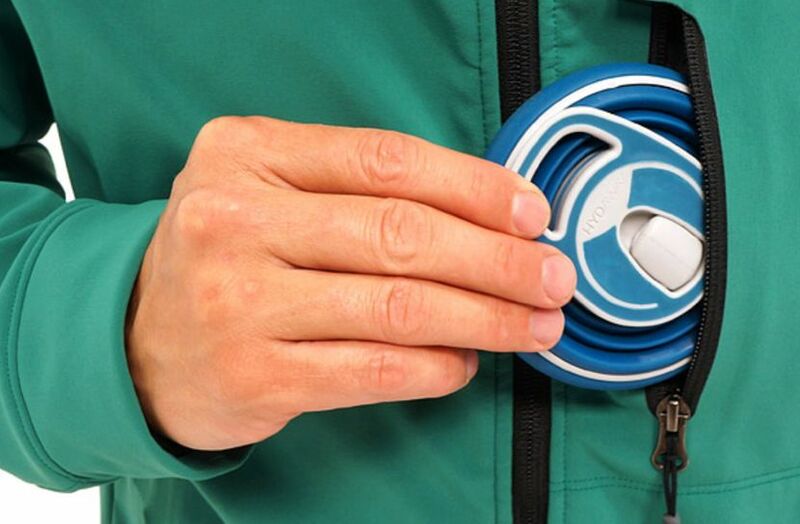 Uncommon Good seems to have the perfect solution, a collapsible water bottle that folds down to a flat disk no larger than a hockey puck whenever it’s empty. To fill it, just expand the bottle to its full size and you’re good to go. Available at Uncommon Goods, from $19. Image courtesy of Uncommon Goods. Road warrior types: what gifts are you hoping to get for the holidays this year? Let us know in the comments, below. Featured image courtesy of the Bose Facebook page.